Papa God has a wonderful sense of humor and He loves it when we laugh. Especially moms. Because everyone knows when Mama ain’t happy, ain’t nobody happy, and when Mama laughs, the whole house rocks. 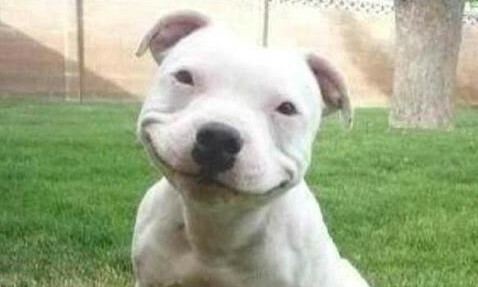 I believe laughter is the best salve for the skinned knees of the spirit. And heaven only knows how many times we’ll skin who knows what before this mom gig is over. One of the ironies of motherhood is that you do so, so much, but you always think you should be doing more. In the throes of exhaustion, your will can sometimes write a check that your body cannot cash. To avoid mommy crash-and-burn, you need a break … a diversion … a pause that refreshes. So for your tension-releasing pleasure, I’d like to now share with you my mom-chuckle moment from the memorable day my daughter had blabber control issues. When my kiddos were young, we attended a small church that didn’t have children’s church, so after the age of five, kids went into big church with their parents. One day I noticed six-year-old Cricket doodling on her bulletin, daydreaming and singing to herself during the sermon. 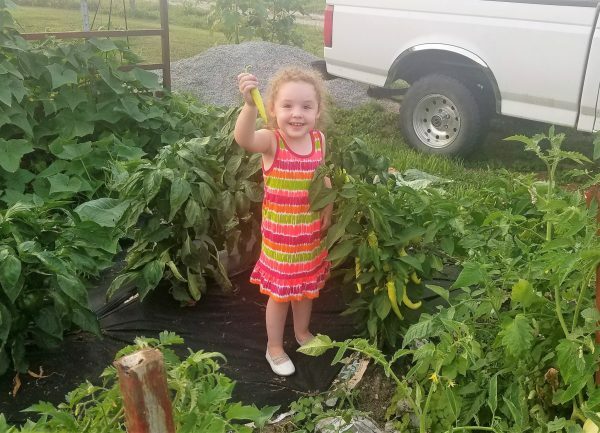 So the next Sunday morning in the car on the way to church, I gave her the, “You’re a big girl now and therefore must learn to listen to the preacher” lecture. We arrived to find a very stern, ultra-regal, black-robed visiting minister filling in for our own laid-back, easygoing pastor. *I hope you’ve enjoyed the excerpts from my new book, Too Blessed to be Stressed for Moms, that I’ve been sharing the past few weeks. And I hope you’ll consider forwarding them to your mom-sisters who might benefit from a smile in the midst of a crazy day. Hey, invite them to become BBFFs (Blessed Blog Friends Forever) right here in our Too Blessed to be Stressed community – can’t ever have enough girlfriends! I LOVE THIS!!! I work with Seniors as a Director of Sales & Marketing in a Memory Care Community. I love remembering what my now teenagers said as little one’s, like your daughter. I also love the things our Seniors say that cracks me up on the daily! They’re so loving, hysterical, and high maintenance just like little ones. I had a new Resident this Saturday while I was working. I was talking to her son and DIL, who I had just met for the first time. Her son and I moved her in so we knew each other well by this time. He told me her ankle was swollen. I was standing beside her wheelchair and I bent over to get a better look at it. She firmly swatted me on the bottom! We all busted out laughing. I said “well Ms. Franny now that we’re intimate friends……” Much like kiddos it’s never a dull moment yet we have to remember Alzheimers is a mental illness they truly cannot help their actions at time. Be blessed and thank you for blessing me today! Oh, I adore your bum-swatting story, Stephanie! I worked with a geriatric population in a SNF for ten years, and know all too well the hilarious stuff they can say or do (and get away with it because, “I’m old; I can say anything I want!”). Thanks so much for taking the time to comment; I LOVE hearing from my BFFs. 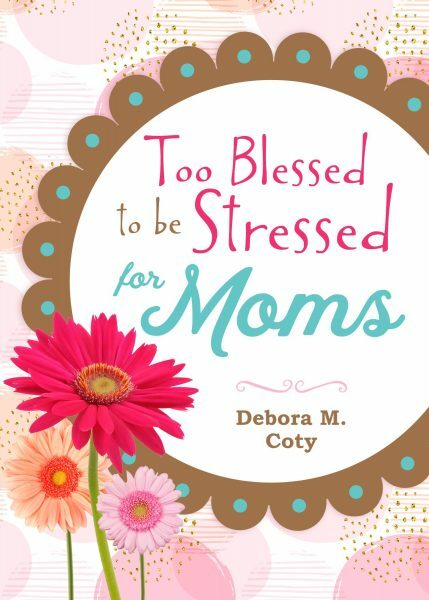 Deb, I loved reading your latest book “Too Blessed to Be Stressed for Moms!! Such a great inspirational for all and the humor is just what every mom needs to make it through the day!! I so appreciate your writing! Too funny… Thanks for sharing ..so love your stories. I love that you love my stories, Carol! Thanks so much for taking the time to write. Hugs! My favorite kind of story; your daughter must be something spectacular. I love reading every single thing you write, Debora!